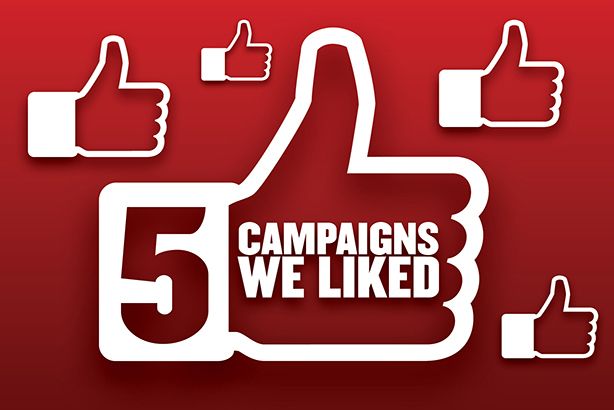 A two-horse race emerged during PRWeek's five favourite campaigns in March contest, eventually won – with more than 350 votes – by Avon for its groundbreaking #Stand4Her campaign. Catrin Pugh, who suffered life-changing burns in a coach crash, featured as the beauty brand's first model with a visible difference. 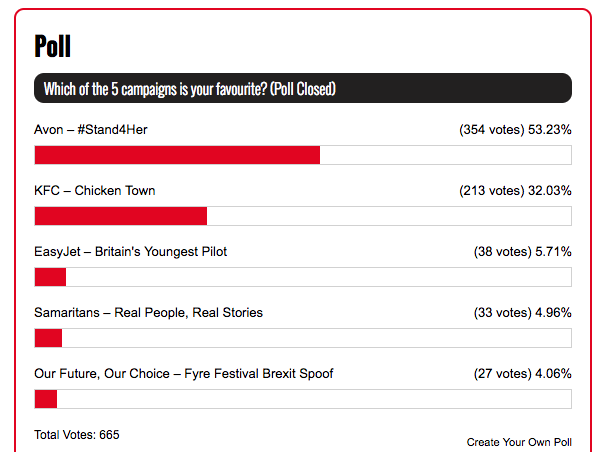 In runner-up spot, with 213 votes, was KFC's Chicken Town campaign by Mother, which took aim at the multitude of KFC imitators with similar-sounding names. Beauty brand Avon unveiled Catrin Pugh, who suffered 96 per cent burns in a coach accident in the Alps six years ago, as one of the faces of its latest campaign. She became the firm's first model with a visible difference and it runs as part of #Stand4Her – a 'new global initiative that aims to improve the lives of 100 million women each year'. As part of the initiative, Avon has signed up to charity Changing Faces’ pledge to represent more people with visible differences in beauty and fashion campaigns – claiming to be the first beauty brand to do so. Agency Good Relations is running PR on the campaign, which was covered across the BBC, ITV, Daily Mail, Independent and beyond.